The 6500/575-577 Left Hand Controls is a self adjusting air suspension seat that sets automatically when the user sits down for optimal height and weight positioning (placing the operator at the mid-point of the suspension travel). Designed for industrial and construction machinery. This seat is also equipped with left hand controls for easy adjustment. The suspension is protected from ingress or foreign matter by a rubber boot. 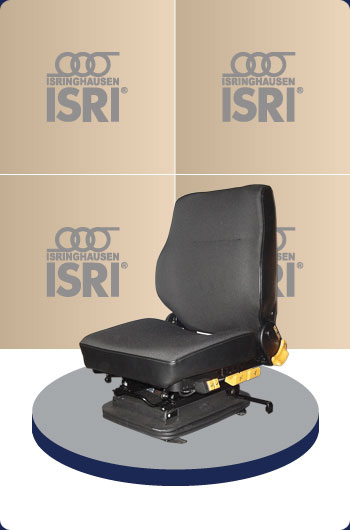 This seat features scissor action mechanical height and slope adjustment, which allows the operator to adjust the seat up, down and to various slopes permitting greater comfort. Upholstery is available in black vinyl or black cloth. For further information, please contact Darby Manufacturing Ltd.